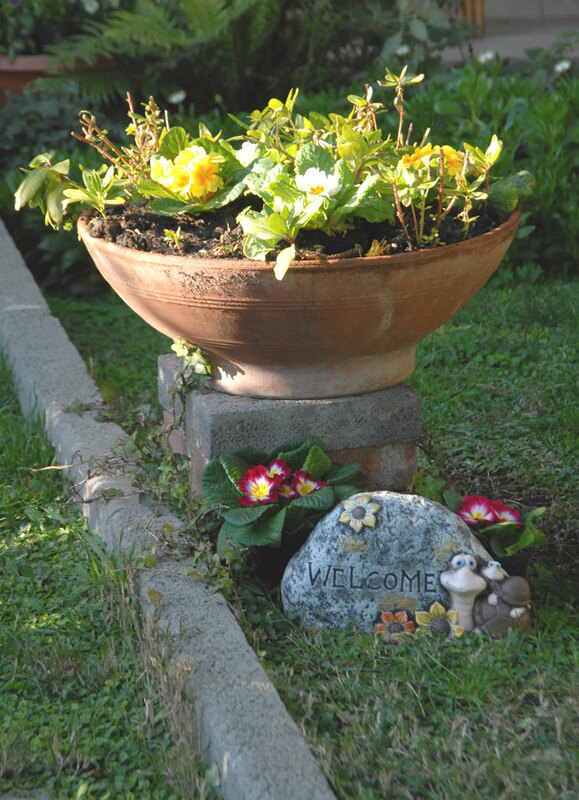 Oasi is our Bed & Breakfast name and its sources of inspiration are our peaceful garden and our pets: enjoy the peace and quiet where we live. Oasi takes its name from the garden, that is rich in green plants and flowers, fruit trees, palm trees and cactus. The garden surrounds our bed & breakfast. There is a big flower bed with many flower species, perennial flowering plants, such as lantana, daisy, hydrangea and two wattles with a orange bougainvillea and a violet-red one. The garden is also where our luckiest guests can watch turtles reproducing: as soon as they are ready and their eggs hatch, the baby turtles come out from the ground. Two miniature rabbits run around all over the garden, while our small dog called Fiocco supervises very carefully. Begin your fantastic morning with a full breakfast we serve in our veranda surrounded by the green garden, where you can spend your free time on the soft armchairs, enjoying the fresh breeze in the evening, chatting with the owners, always ready to offer a glass of Sardinian myrtle liqueur. There is a wide car-parking facing the garden.